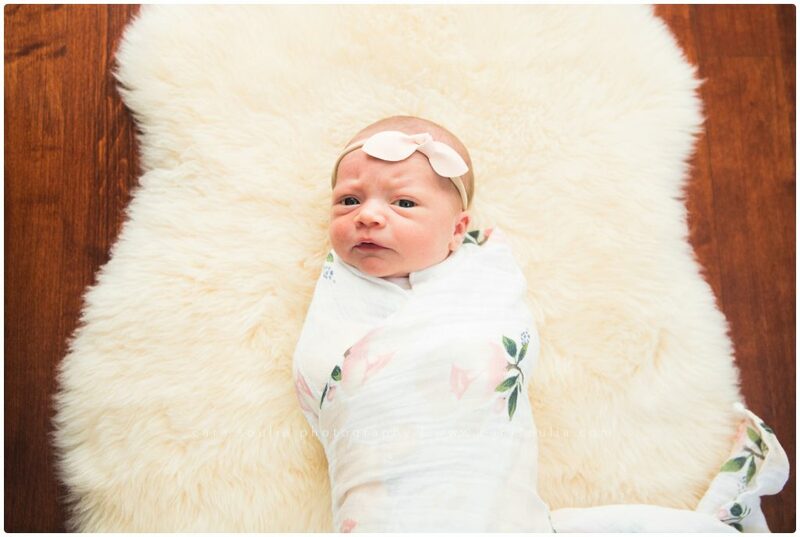 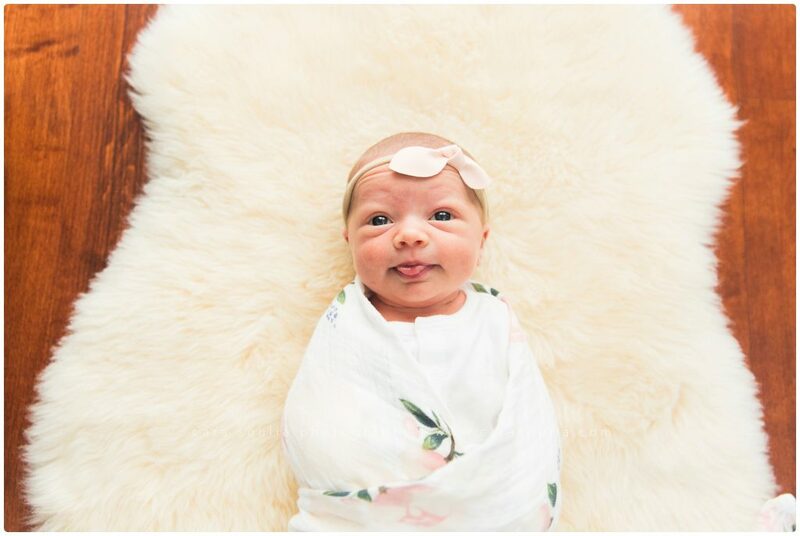 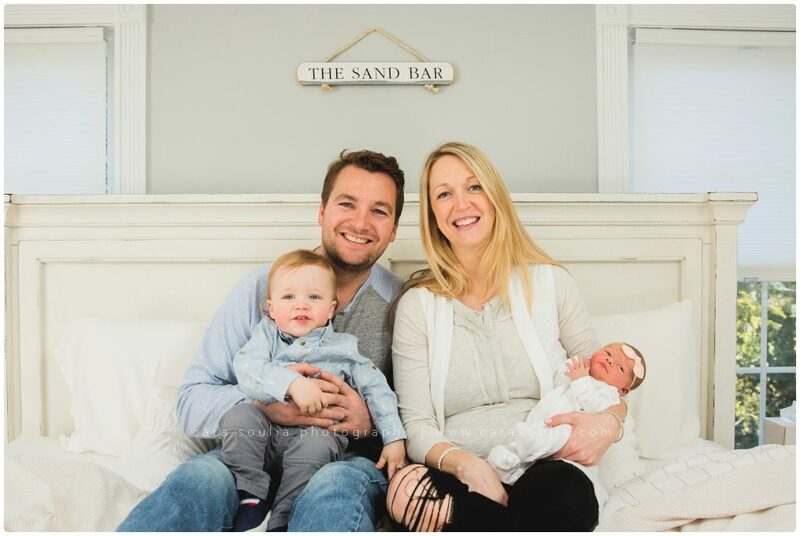 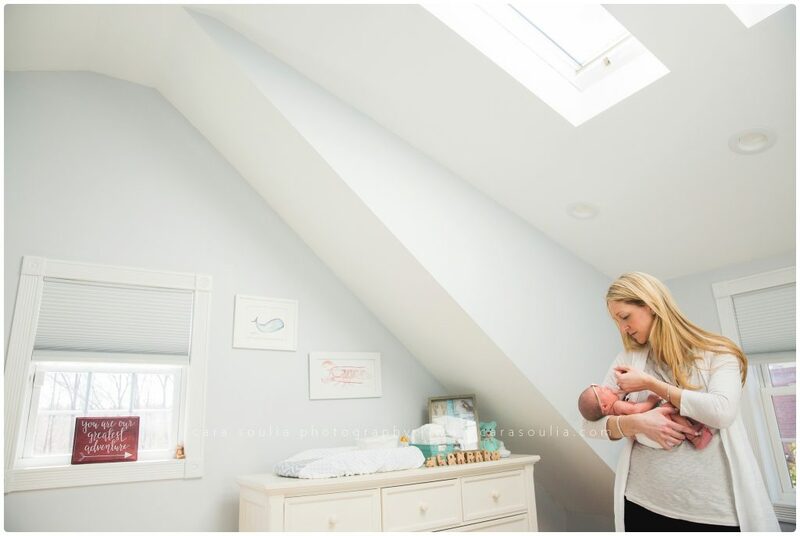 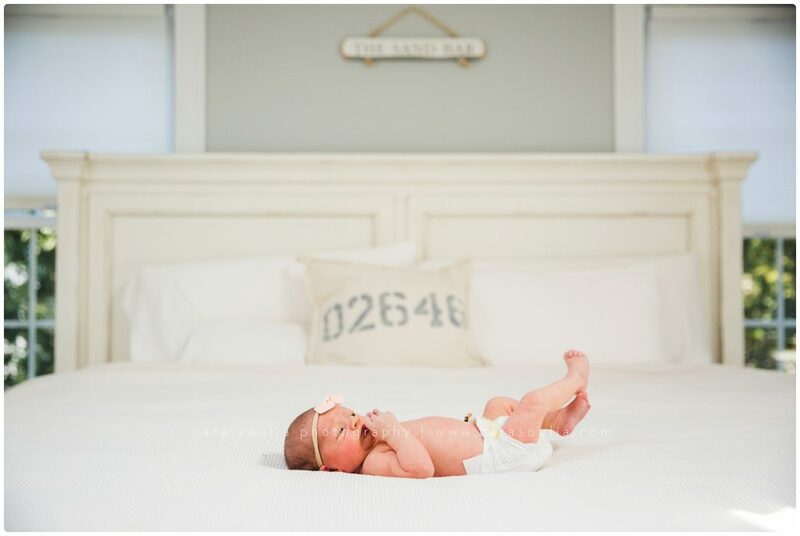 This past spring, I visited a gorgeous family of four at their home on the South Shore of Massachusetts for a lifestyle newborn session. 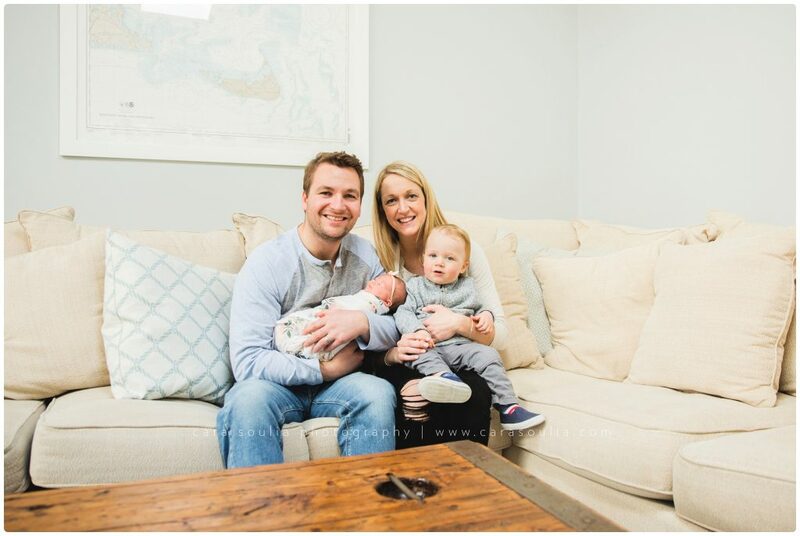 When I arrived, Mom was feeding little baby Hadley—who was just one week old!—so I spent some time getting to know Dad and Hadley’s big brother, 16-month-old Conrad. 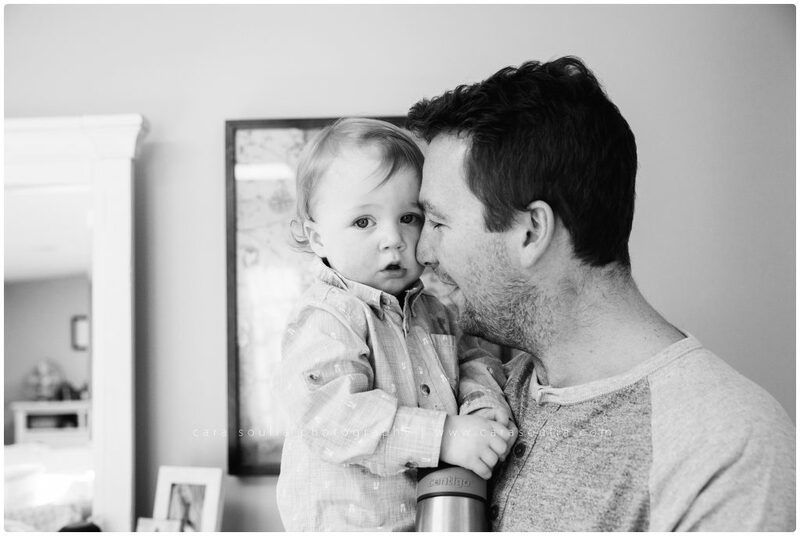 Dad used to play semi-professional hockey, so he’s already working hard to teach Conrad (Connie) the ins and outs of the game. 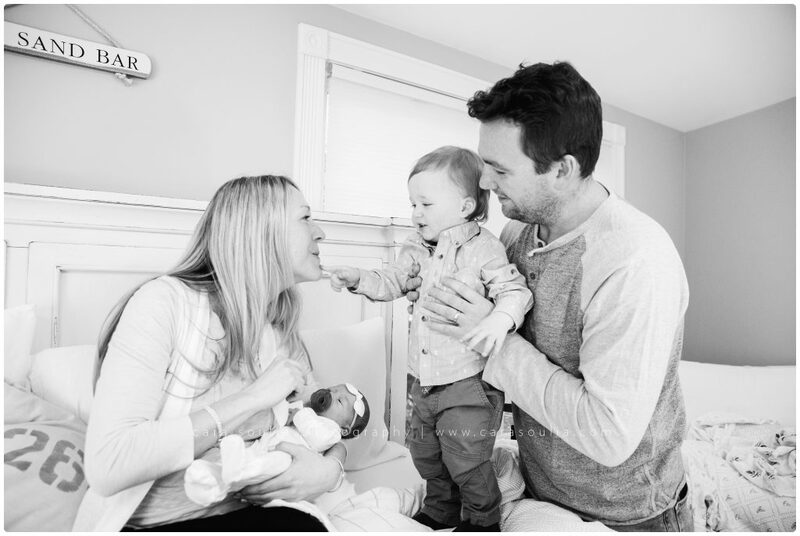 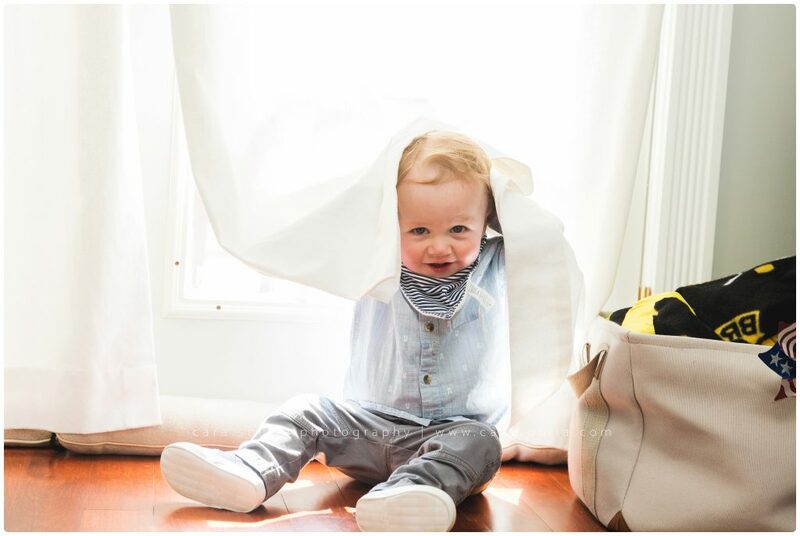 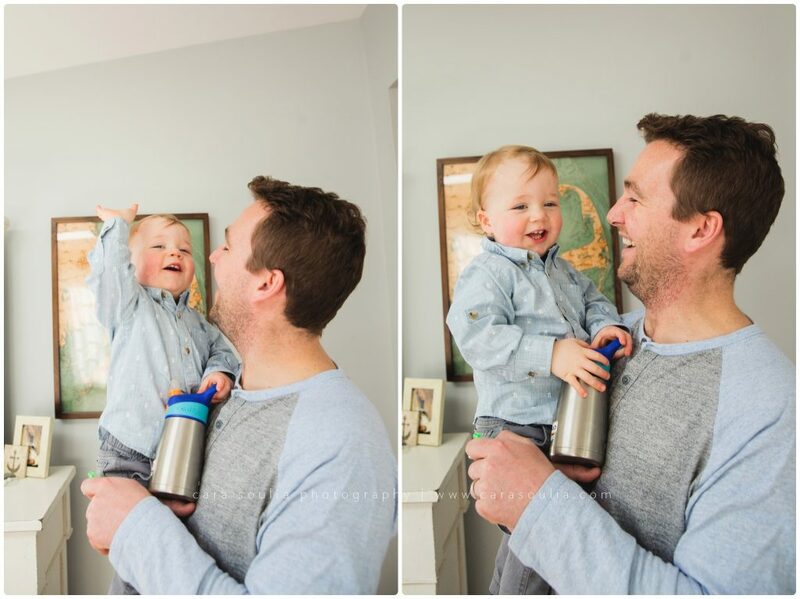 He can already swing the hockey stick and hit the puck into the net, but his favorite thing to do, by far, is to throw his hands over his head and shout “GOAL!” So adorable! 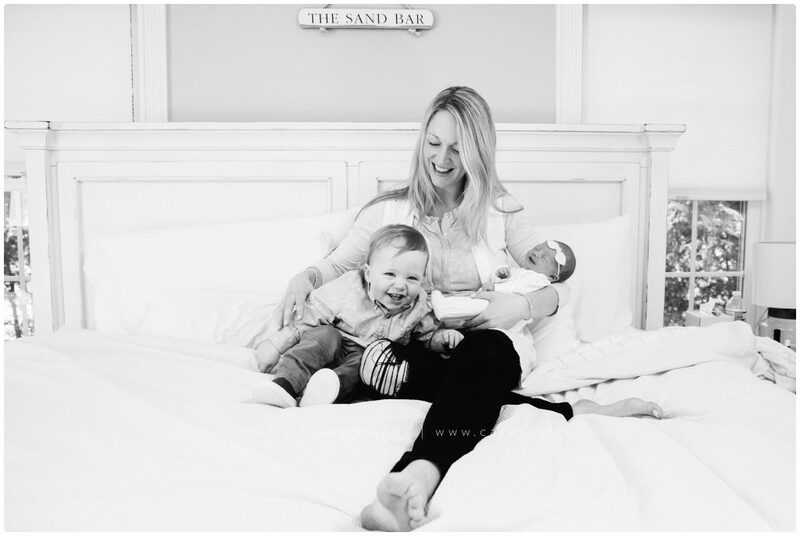 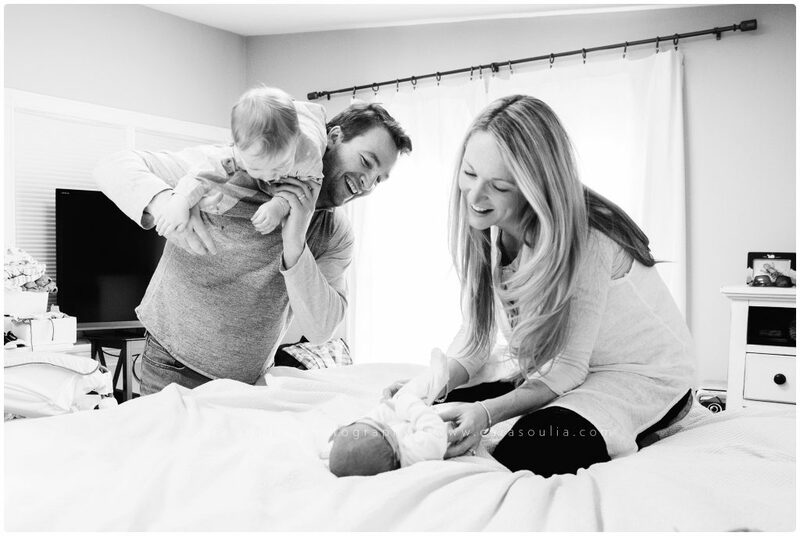 Once Mom and Hadley were able to join us, we got some sweet family shots of everyone on the master bed together. 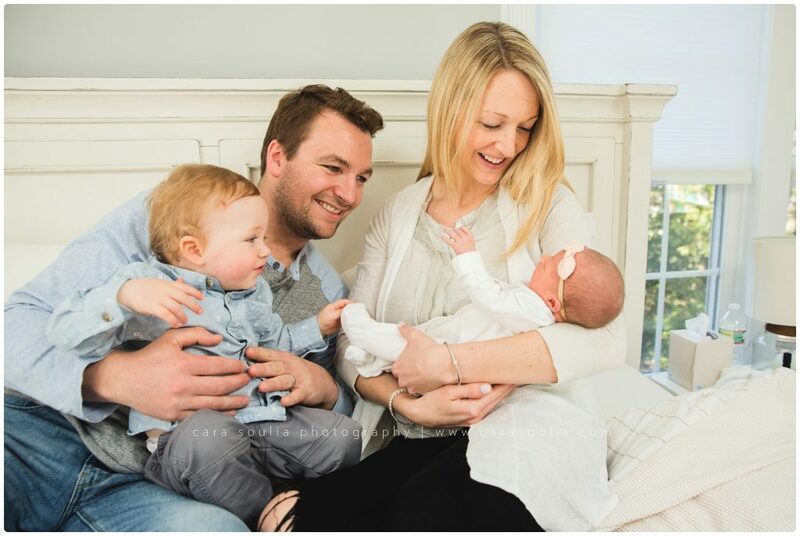 Mom and Dad were both so easygoing and relaxed—a must for parents of two children under the age of 2!—and it was pretty clear that parenting comes naturally to them. 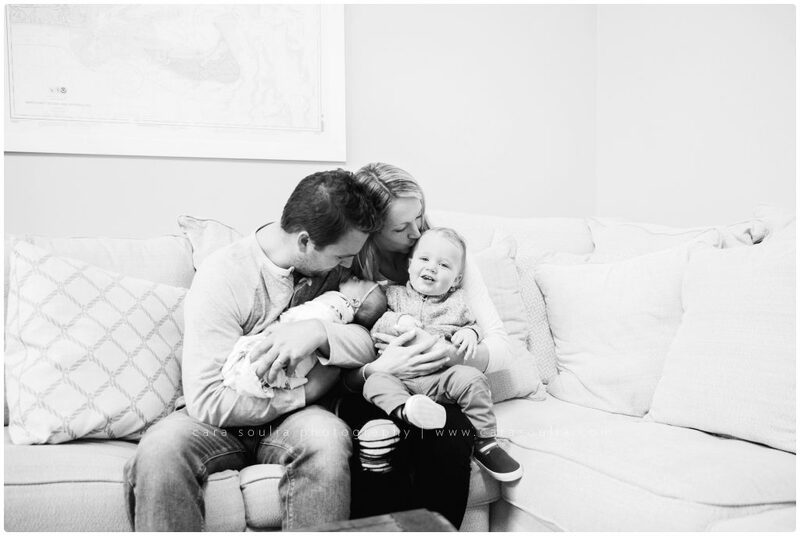 They rolled with the punches and gave me not only some great family moments but some genuine smiles that I hope they will cherish forever. 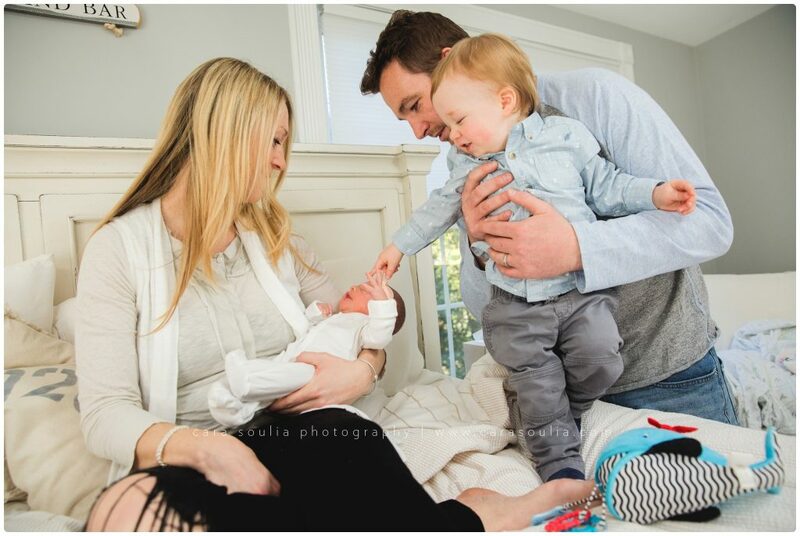 Thank you again for allowing me into your home to photograph your family. 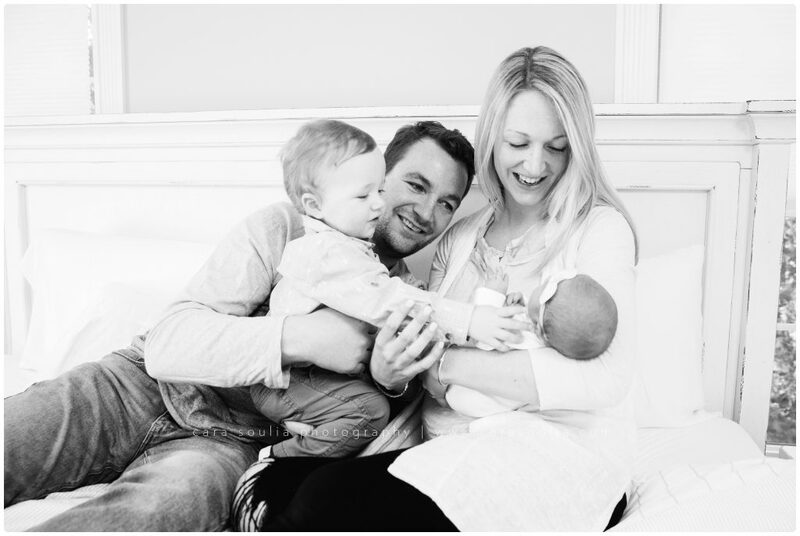 It was a true joy to be part of the love and happiness that you all exude. 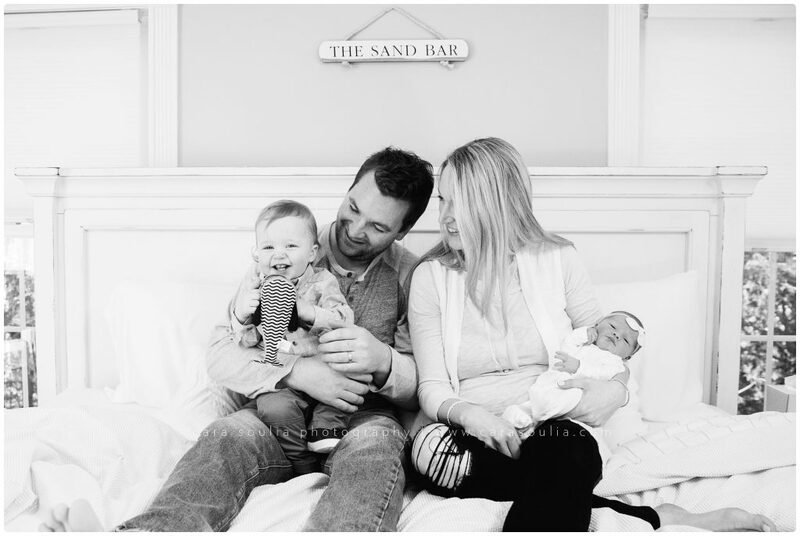 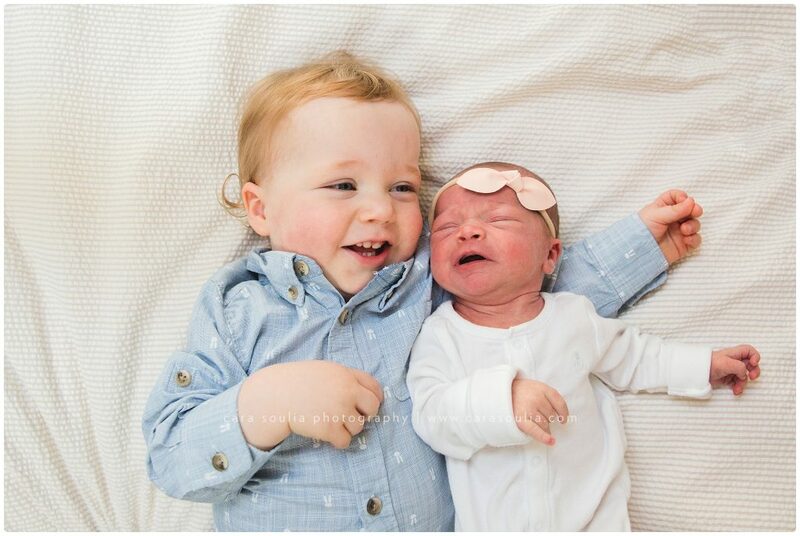 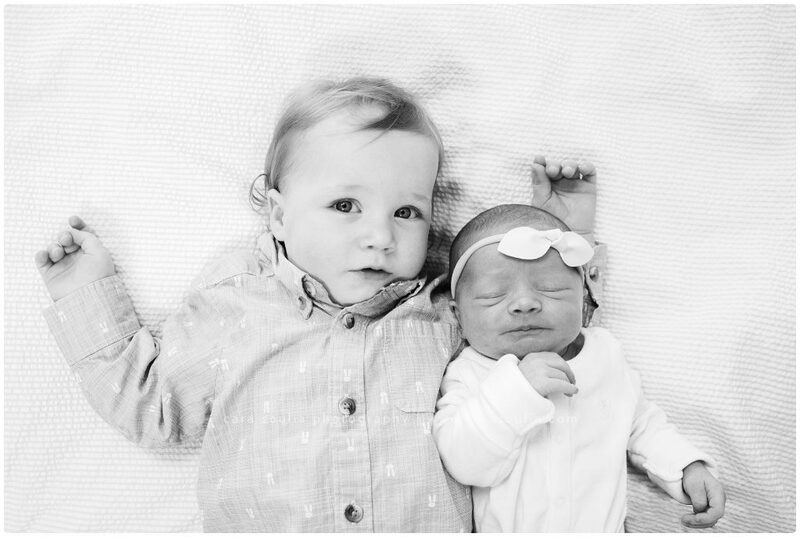 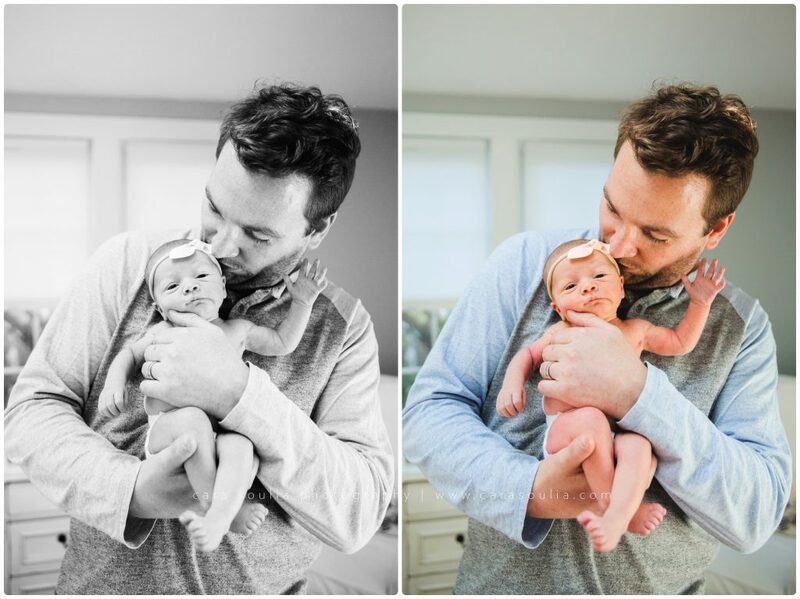 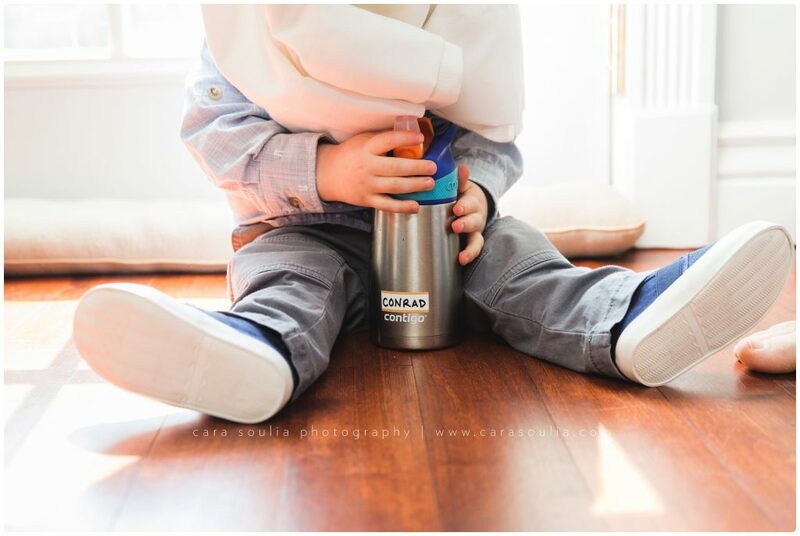 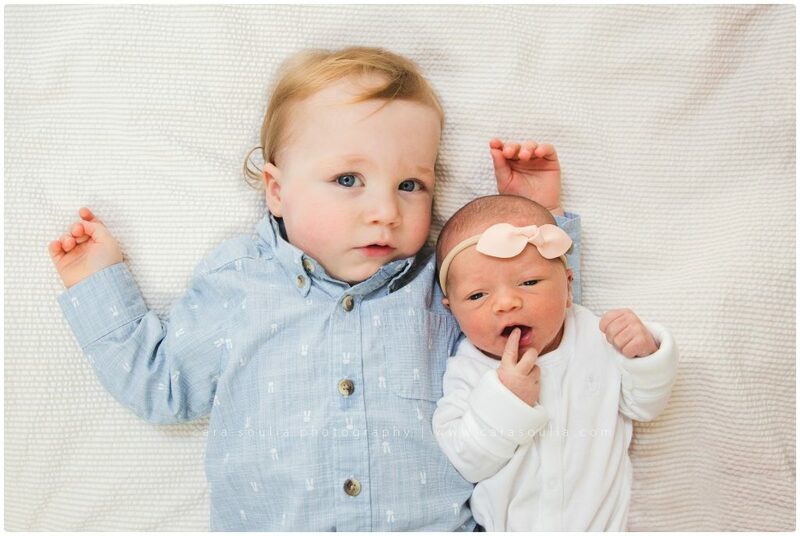 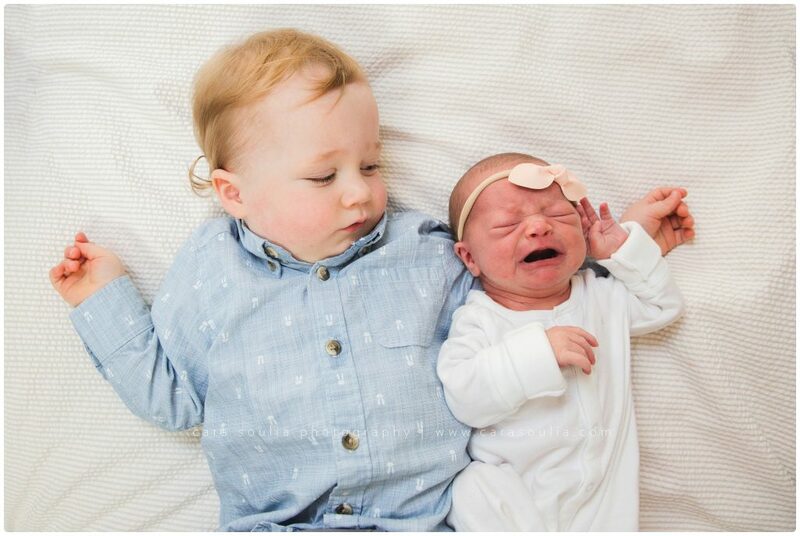 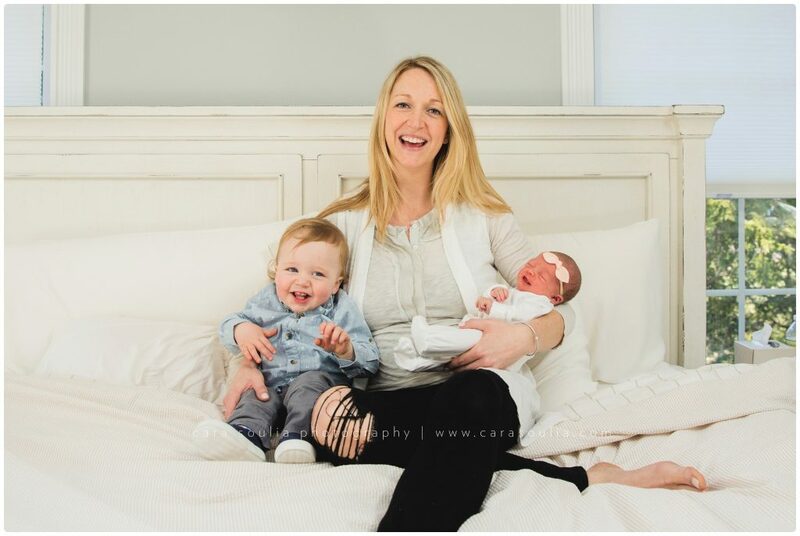 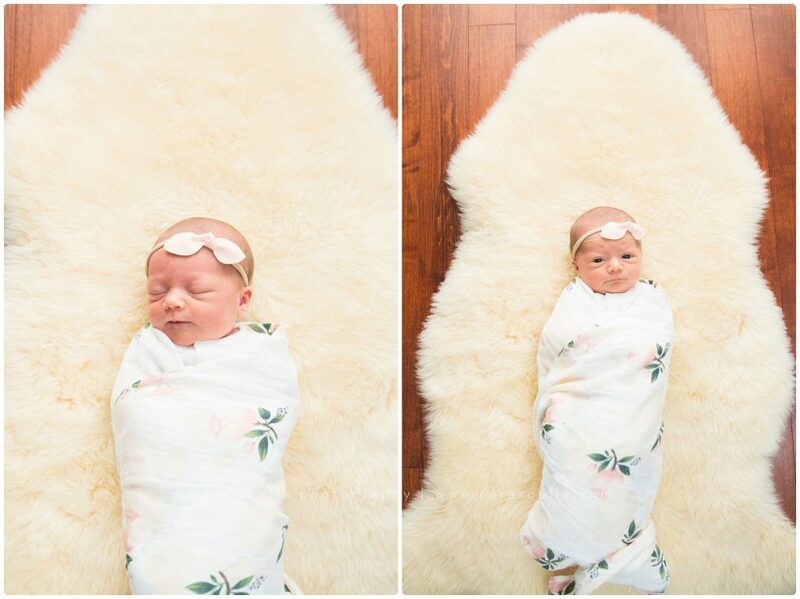 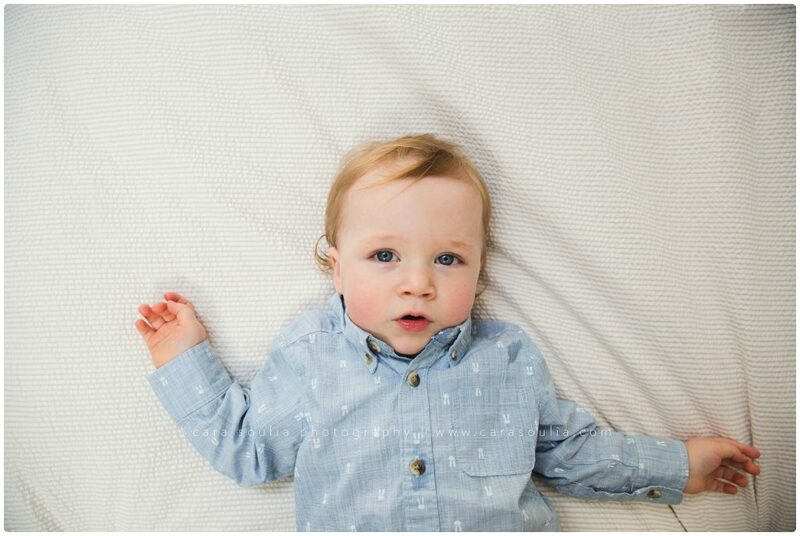 Cara Soulia is a Boston New Photographer who has been photographing teeny tiny new babies and their families since 2011. 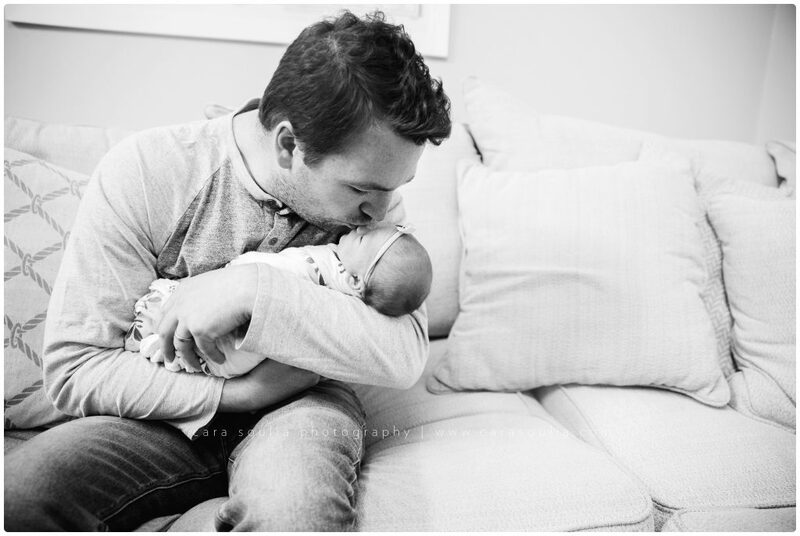 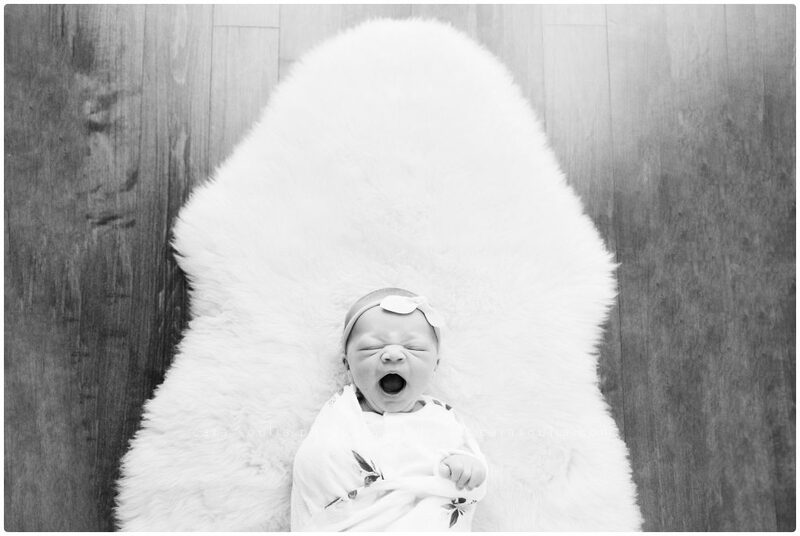 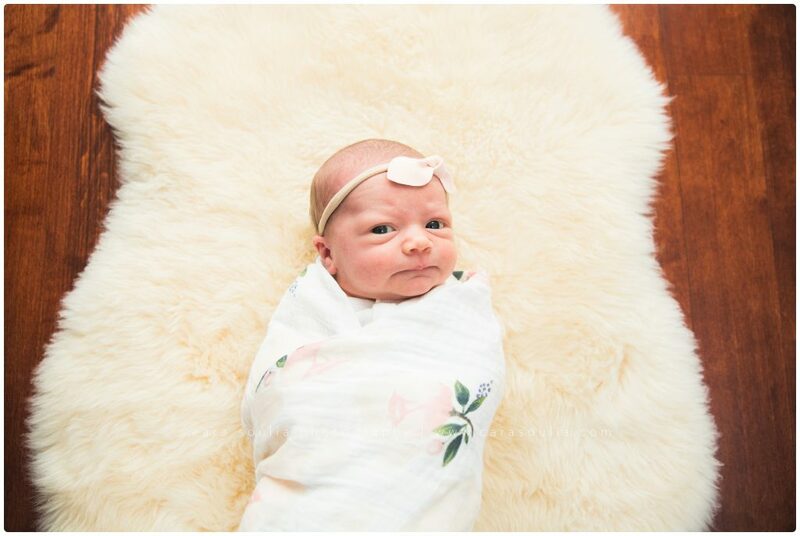 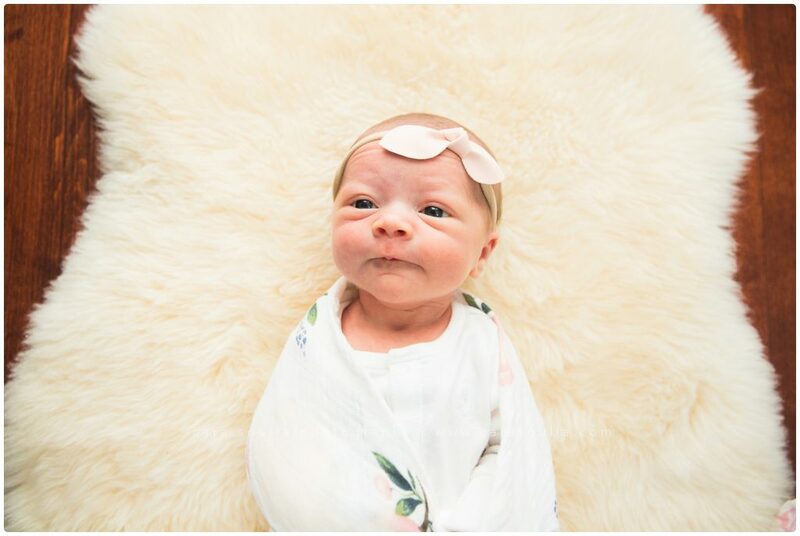 If you would like to see more newborn sessions click here. 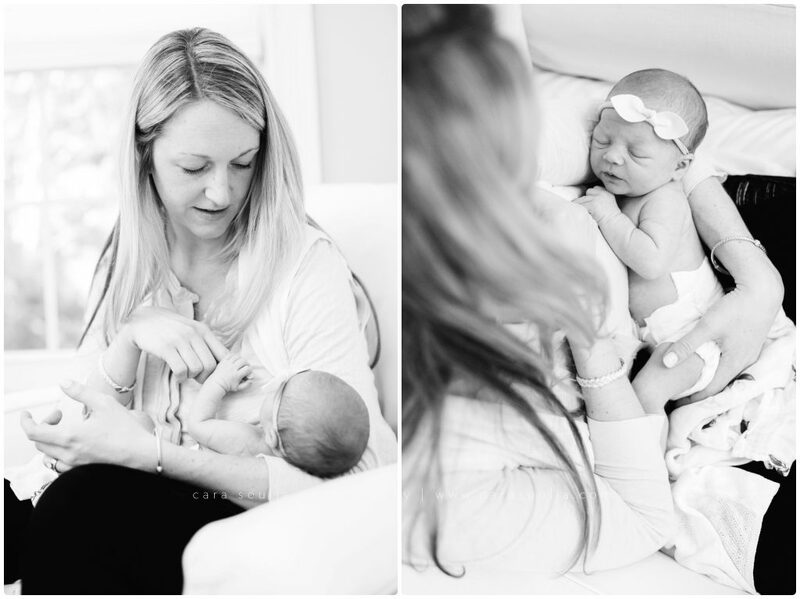 OR if you are expecting and are interesting in booking your own newborn session get in touch!